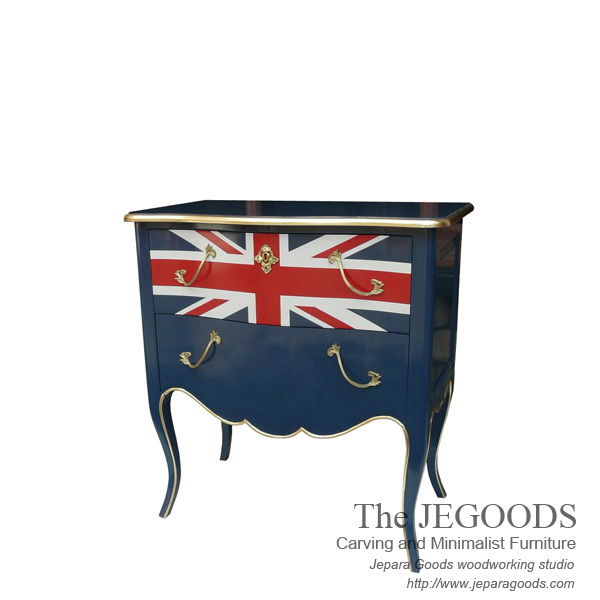 Introduce you our painted furniture production of The Union Jack Nighstand, a beautiful Union Jack flag creative colors finished by skilled Jepara crafter and well manufactured with good construction. We design, manufacture and supply quality furniture at affordable price directly from our warehouse. We care about every detail and always use the best materials to supply our customer's furniture need at finest standard.